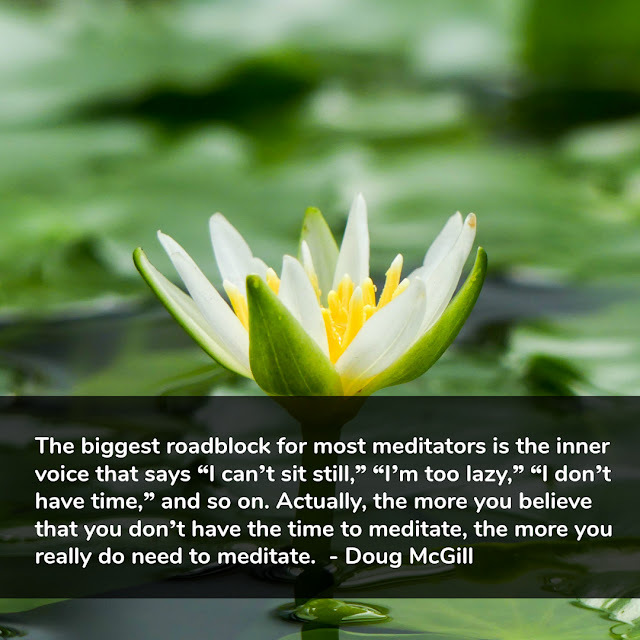 "The biggest roadblock for most meditators is the inner voice that says “I can’t sit still,” “I’m too lazy,” “I don’t have time,” and so on. Actually, the more you believe that you don’t have the time to meditate, the more you really do need to meditate." - Doug McGill in this week's Post-Bulletin column. The spiritual practice we're exploring this week is meditation. Here's the link: http://bit.ly/31018pb.